The Centre is ideally suited for conferences and meetings of various sizes, with a number of rooms available and a large auditorium that seats 1,000+ people. Full media is available in most rooms. The Chapel has been specifically designed to accommodate weddings and similar events, with a seating capacity of 250 people. The Auditorium offers ample space for larger weddings of up to 1,025 people. A full range of on-site catering options are available, from light refreshments to formal dining. Choose the space to suit you, from small, medium and large rooms or the 1000+ seat auditorium. Media is available in most rooms, including plasma screen, projector, microphone and DVD/CD player. 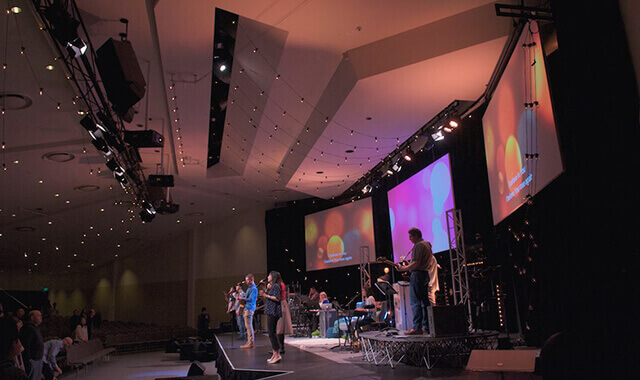 The auditorium is equipped to suit all audio and lighting needs and hire includes a Crossway trained media technician. Crossway is conveniently located in Burwood East, close to the geographic centre of greater Melbourne. Ample free parking is available, with capacity for more than 800 vehicles and marked bus parking spaces. Please contact the bookings coordinator for information about pricing, bookings and other queries.